This lovely heart-shaped rosary for girls features pink heart shaped, 6mm beads. 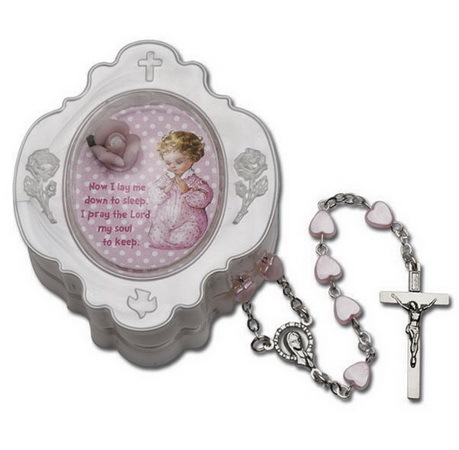 Comes in a sweet white rosary case with image of praying girl with text "Now I lay me down to sleep. I pray the Lord my soul to keep". A perfect gift for new born baby, baby's baptism or first rosary for little girls.